PoemTalk took its show on the road this time. 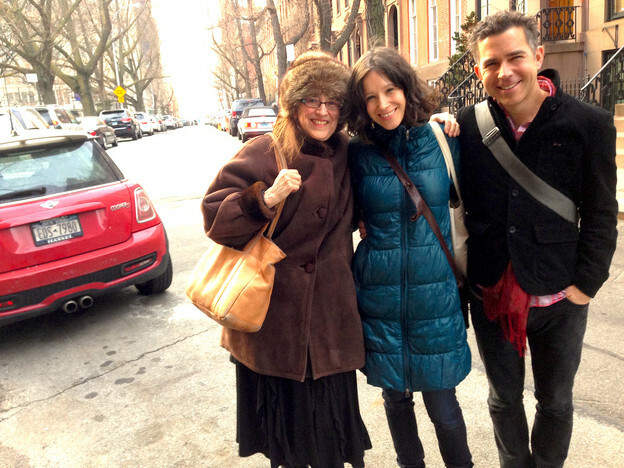 Al Filreis convened with Maria Damon, Catherine Wagner, and Kaplan Harris in Greenwich Village, New York City, before a wonderfully responsive live audience, to talk about two poems Kathy Acker inserted into the middle of her novel Blood and Guts in High School. These are poems written “by” Janey Smith, the 12- or 13-year old central character of the story. Those with copies of the book will find our two poems on pages 103 and 105: “The Diseased” and “The Slave Trader” (or “To Slave Trader”). Texts are presented here, below. The novel was published in 1978, and on November 13 of that year Acker read with Lorenzo Thomas at the Ear Inn as part of the Segue Series. She performed our two poems in addition to excerpts from Janey’s “Persian Poems,” as well as several other pieces. As we listened to “The Diseased” we included Acker’s introduction, in which she fascinatingly — and in character, you might say — sets up the context for the intrusion of these poems into the prose of the novel. The book is more than a novel, of course, as we note. It is a mash-up of different genres, and at one point the group creates a long and even then incomplete list of the genres at work. Moreover, Acker invites us to wonder if she herself is a mash-up. The poems are translations of the love elegies of Sextus Propertius. They are at points so literal that Janey/Acker preserves the Latin word order in the English. Janey says elsewhere in Blood and Guts that translation is a crying out in response to pain. Janey has written a book report on Hawthorne’s The Scarlet Letter and the text of the paper is included (of course) in the novel. It is, the group observes, a perfect summary of the text yet written in “the monosyllabic, resentful, crude style” of the heretical proto-punk girl. Acker turns Hester into Janey and there you have it: the punkification of the sort of internal exile Hawthorne was exploring. Referring to Dimmesdale as a fool, Janey writes: “Teach me a new language, Dimwit. And language that means something to me.” That impulse to want to recreate language in the context of eros and taboo, and of the social underworld, is a utopian aim to which Acker dedicated her life and work. “The whole thing about punk,” Maria Damon notes, “is that you do brilliantly ambitious things very stupidly.” Our discussion keeps returning to the details of the amazing effects created by this disjuncture. 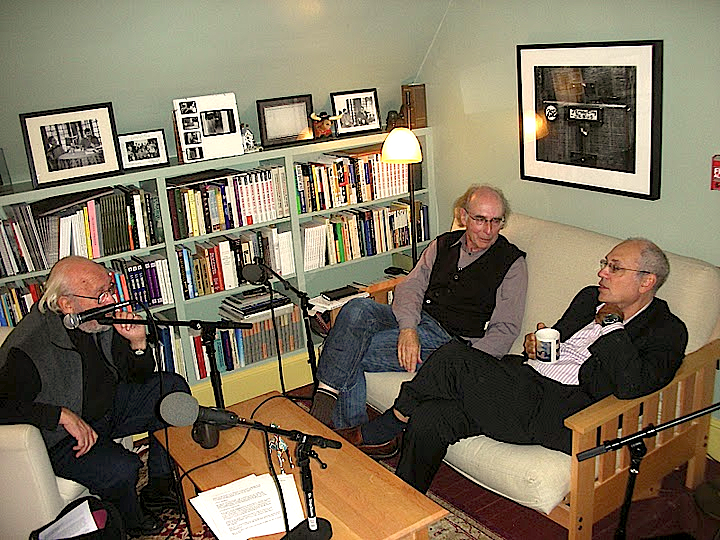 We are delighted to add to the main PoemTalk session a bonus track — nine minutes of conversation with the audience, an excerpt from the open discussion that followed the main session: MP3. 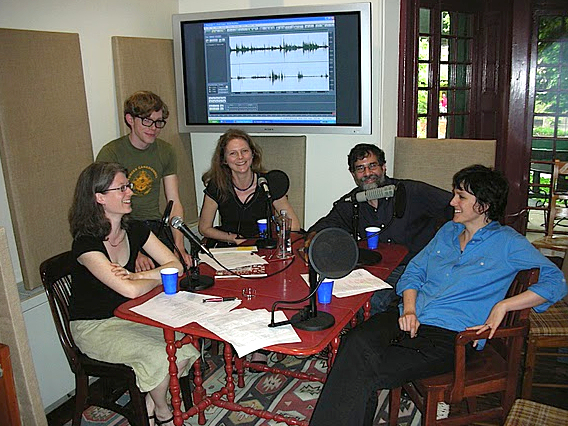 This live-audience PoemTalk was recorded at the Hudson Park Library branch of the New York Public Library at 66 Leroy Street in lower Manhattan, where librarians have been serving the entire public without any discrimination since 1906 and where Marianne Moore worked as a library assistant from 1921 to 1925 (her commute to the job was a total of 42 steps). We are grateful to Alexandra Kelly and Miranda Murray of the NYPL staff. PoemTalk’s regular director and engineer, Zach Carduner, traveled to New York from Philadelphia with all his equipment, set up elaborately and skillfully obtained a clean sound despite some acoustical challenges. What challenges remained in the initial audio were met by the talents of our now-regular editor, Amaris Cuchanski. Are you really crazy, doesn’t you my love mean anything to? Do you think I'm than icy more frigid Illyria? That without me controlled by the winds to go you want? brave? on hard cold floor how to sleep you can know? you can, not used to the slightest snow? let not unfriendly my throw away winds pleas! you horror with clenched to threaten wrist. let in Oricos with calmness. I want all of you out there to shut up. I'm going to live the ways we want to live. What do you want of me now? The only thing left is madness. That's what wanting love is. My man isn't like other men. He can keep you in prison. He can make you do anything. I know why all of you want him. Nor will he let you keep your eyes. He compulsions alone can fetter forces wildness. you'll never again now who you are. to disappear whenever he wants you to go. why the whole world are lies. cause Love's more powerful than social climbing. how quickly from such a reputation you will be a murmur! At this point sicker than you. let’s be nice to each other. I myself want to live.